Hercules is 5 years old and has lots of youthful energy to match. He has been at the shelter for more than 55 days although to him, it feels more like a lifetime! This goofy boy loves to run! So if you’ve been searching for a motivated running partner to help you get your steps in, look no further! Hercules enjoys being the center of attention and is well-received by everyone here at the shelter. In fact, this guy is so charming that he is often described as a favorite amongst our staff. 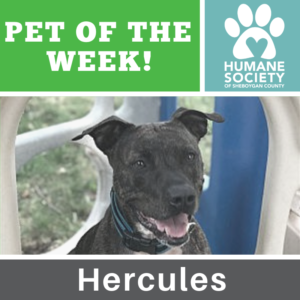 Find out more about Hercules here.